GFC Crane Consultants, Inc. is a family-owned business that has served the marine industry for over 40 years. 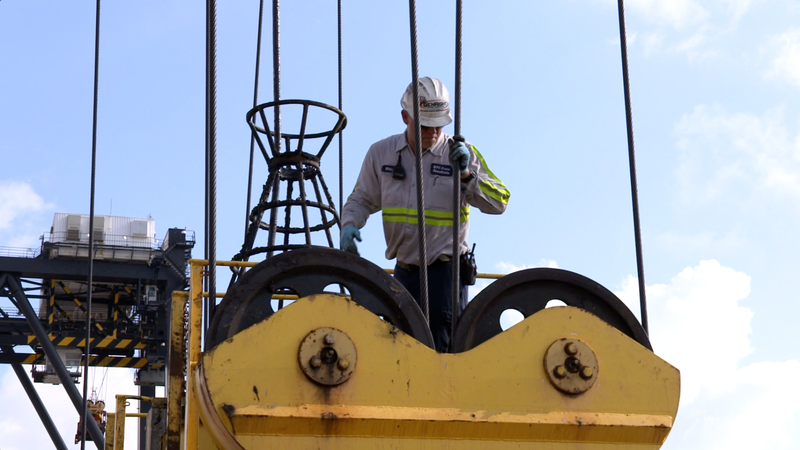 They specialize in container crane structural inspections, maintenance, and consultation on a wide range of field maintenance problems, crane modifications and construction. Based out of Port Everglades in Fort Lauderdale, Florida, GFC has delivered its world-class expertise and efficiency to clients all over the world. Spark traveled to balmy Florida for a shoot on the docks, with fascinating results: a series of promotional videos, featuring the gorgeous scenery, impressive crane systems and engaging personalities of Port Everglades. By giving a face to the company behind the Port’s success, stressing the company’s values, and highlighting their vital impact on the entire region’s economy, our promo makes it clear to clients that GFC Crane Consultants is the company you want in charge.